Madison Hagler and Rich Piccone have teamed up to bring you a release four years in the making. Show a card box, place it on the table, and insert a folded card slightly inside. Tell your audience that the card might come in handy later. 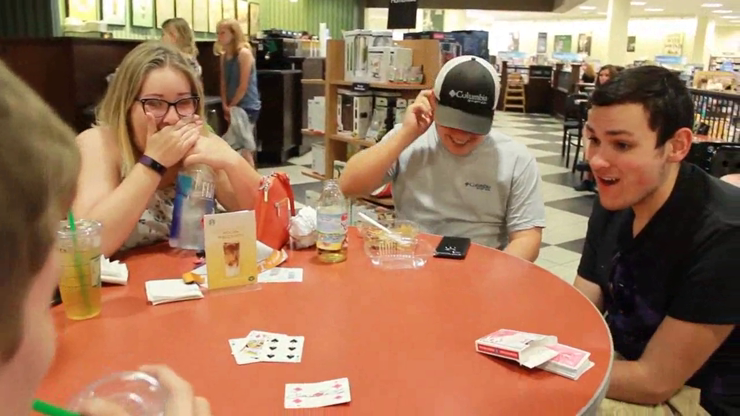 Have a spectator sign a selected card, lose it inside the deck, and have the spectator shuffle the deck. The spectator subsequently looks for their card inside the deck - it is gone! Point to the box that has been on the table the entire time, with the folded card sticking out slightly. Remove the card, have them unfold it and voila! It is their signed card! Unbelievable audience reactions! Dropped is a simple-to-make gimmick that allows you to effortlessly and invisibly switch one folded playing card for another. The possibilities are endless with this device, as it could be used to switch cards, bills, billets, etc. Fun to perform!